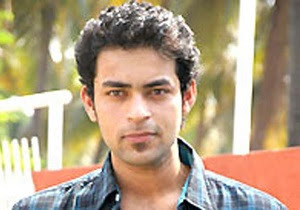 Since many days the talk about the debut film of Varun Tej, son of mega brother Nagababu, has been on the cards. After going through a series of directors the last report heard was Varun will be teaming up with Sreekanth Addala for his debut flick. Now, it is heard that the title is also being finalized. Apparently, buzz is that ‘Aradugula Bullettu’ is being considered as the title for Varun Tej’s debut flick. This needs no reference because Pawan Kalyan’s latest chartbuster is this track title. In between the title ‘Golla Bhama’ was making rounds but now it is heard that ‘Aradugula Bullettu’ has come into the list. Those who heard this are saying it is an apt name because Varun is not only tall but also looks sharp as a bullet. Above all, it has that connection with Pawan Kalyan which adds more brand value to it. Well, let us wait for the official announcement on all this and then the rest of the details will follow.